MATH OLYMPIAD: This is the second year of Math Olympiad at Mission Valley, and we are thrilled at the participation. The last contest will be held on Mar 8. We have introduced the Math Olympiad solution review session to go over the problems on March 16 from 630-8pm in rooms 6 and 12. It will be taught by high school students with a very good tutor to student ratio. VALENTINE’S FAMILY PARTY: MVSA hosted the party on 2/10/17. Fun was had by all!! We had Valentine Bingo, crafts, decorate your own cookies and pizza!! MVSA thanks all the parents who participated and welcome feedback. VOLUNTEERS UPDATE: We need a few more volunteers. Please send an email to president@mvsa-fremont.org to indicate interest. 1. Parent Photographers needed for yearbook help – Have a camera and like to take pictures? We need a few additional Photographers to help with some group shots for the yearbook. 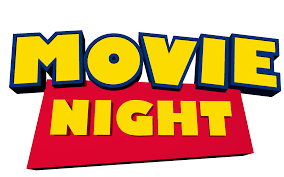 MOVIE NIGHT: MVSA will be hosting movie night in our MUR on Friday March 31st at 6:30 PM. Parents, students and siblings please join us to watch the movie “Sing.” MVSA will be selling pizza, snacks and desserts. Bring a blanket to sit on and a pillow to get comfortable. Mark your calendars! STUDENT SAFETY: For our students safety, please observe the traffic instructions during the drop off and pick up times. Please pull up all the way to the end of the loop to drop off and no left turns out of campus (per the orange cones and sign). Please also refrain from making a u-turn just past the drop off zone. The safety of students is key and these signs and instructions were put in place to help keep our students safe. 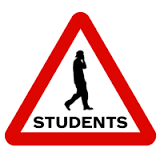 Many drivers have been observed not following these instructions and endangering students. Please take a few extra minutes to keep our Mission Valley Family safe.